A Tour of Florence and Pisa with a tour guide and a private driver at your disposal for the entire day, the perfect way to experience Tuscany and its great cities! 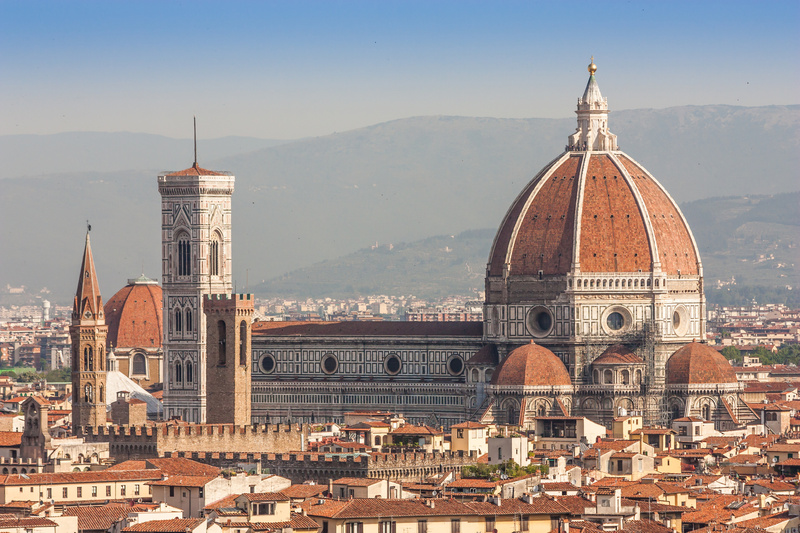 After meeting your tour guide of Florence and the driver at the pier, you will begin the 90 minute drive to Florence. 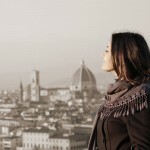 Upon arrival, we will start an unforgettable guided tour of Florence that covers the places not to be missed. In Piazza del Duomo in Florence you will feel the sacred atmosphere created by the religious buildings built hundreds of years ago. The Baptistery is dedicated to Saint John the Baptist, the patron saint of Florence. Its gilded bronze doors were named The Gates of Paradise by Michelangelo, famous for criticizing the other artists. This was quite a rare exception. The Cathedral of Santa Maria del Fiore is dedicated to the Virgin Mary who received the news that she would become the mother of Christ on March 25th. This date marked the New Year in Florence and Pisa for centuries. 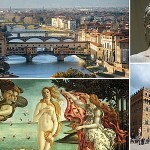 You will continue your private tour of Florence with Piazza della Repubblica, the center of Florence in ancient times. Today it’s a perfect place for a coffee break, standing at the counter like Italians do. 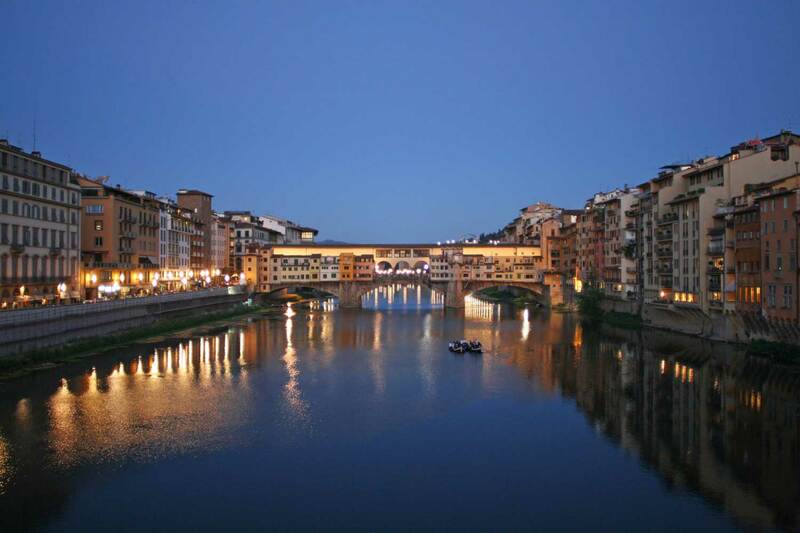 After a short walk you will reach Ponte Vecchio, the only bridge spared by the Germans during the World War 2. The walking tour of Florence will continue in Piazza della Signoria, dominated by Palazzo Vecchio, a fortress-like building that once housed the Medici apartments and later became the city’s town hall. Santa Croce Square will be the last part of our Florence tour. This is the area where the Franciscan friars founded Santa Croce Church, one of the biggest Franciscan churches in the world, famous for the funeral monuments inside. Among the personalities who were buried inside, Michelangelo, Galileo Galilei and Machiavelli are definitely the greatest ones. For your lunch break, the tour guide of Florence will suggest some authentic places where you can taste Florence’s typical dishes, away from the touristy restaurants. At the appointed time, we will leave Florence and head towards Pisa and the Field of Miracles. Partly paved and partly grassed, it is dominated by four great religious buildings: the Duomo, the Leaning Tower (the cathedral’s bell tower), the Baptistery and the Camposanto( the Holy Cemetery). In case you want to visit the Baptistery and the Cathedral, your private tour guide of Florence and Pisa will take care of the tickets. Climbing the Leaning Tower is one of the greatest travel experiences in Tuscany and if possible, your tour guide will make a reservation for you. At the end of a memorable tour of Florence and Pisa your private tour guide will leave you with the driver who will take you back to Livorno. Eliza went way beyond our expectations for this shore excursion. She coordinated perfectly with our driver for one thing. But it was her knowledge and enthusiasm for art and history that made for a really exceptional tour. She also knew the perfect place to have lunch that was 'local' and not a place for tour buses or on the tourist walkways. The food was delicious as was the ambiance with our Italian peers. We were 200% happy with the tour she gave us. This booking was most delightful. Our guide, Eliza, arranged our transportation (Claudio) from Luverne to Florence, and this worked very well. Eliza accomodated our changing desires with good grace. -at one point there were to have been 3 in our party - then 5. She rolled with the punches. 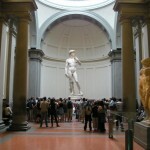 And she saw to it that we got to see the highlight of going in to Florence - the David. I would seek her out again on our next trip. Thank you, Eliza. Today we had a wonderful cultural experience in Florence and Pisa. Eliza had all the historical facts along with myths and stories that keep everyone in the family excited and eager to explore! Definitely recommend for first time visitors to the Tuscan area of Italy.